Located in the heart of the city, The Fairmont Royal York has everything you need for a memorable stay – opulent surroundings, a knowledgeable Concierge team, fine dining, state-of-the-art exercise facilities, plus so much more. Our luxury Toronto hotel is right in the heart of it all, steps away from the best nightlife, dining, shopping and other attractions. We’re conveniently located across from Union Station at 100 Front Street West within the financial and entertainment districts. We are connected by the underground PATH Walkway to approximately 1,200 shops, services and attractions, including:Hockey Hall of Fame , Air Canada Centre , Eaton Centre ,Union Station. Standing in the very heart of downtown Toronto, The Fairmont Royal York luxury hotel provides all of the facilities and services one would expect of a world-class city. In any of our five superior restaurants and four lounges of our downtown Toronto hotel, guests may savor sumptuous cuisine and famous cocktails, while those here on business can use the hotel’s Xerox Business Centre to get the job done. After a day of sightseeing or business meetings, guests can relax in the spa and fitness center. 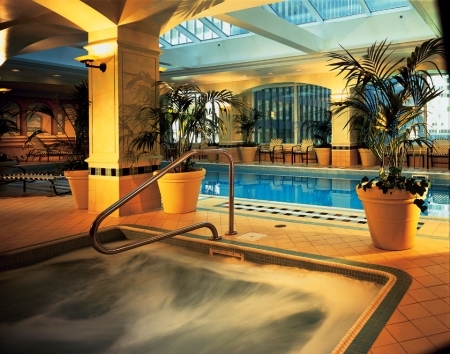 Featuring an indoor swimming pool, state-of-the-art exercise equipment, steam bath facilities and exceptional spa treatments, no matter what brings you to this landmark downtown hotel in Toronto, your every need will be graciously met. Located on the Avenues level of The Fairmont Royal York, Elizabeth Milan Day Spa in Toronto is a full service spa, offering a wide range of hair, skin and body treatments. An oasis of tranquility and relaxation, enjoy exceptional and innovative spa treatments provided by our highly skilled professionals look after your well being. Fitness Room: Open 24 hours a day. Access is by key card for registered guests only, 16 years of age and over. The reception area is staffed from 6:00 a.m. to 10:00 p.m. Please Note: The pool is unsupervised and bathers under the age of 12 are not permitted to swim, unless accompanied by an adult at all times. Whirlpool Bathers: Access is prohibited for children under the age of 12, unless accompanied by an adult at all times. Dress Code:Proper fitness attire such as shorts, shirts and running shoes must be worn while working out. Proper swim attire – no t-shirts – cut off shorts – swim diaper mandatory for young children. The Xerox Business Centre at The Fairmont Royal York provides business travelers with the best printing technology available. 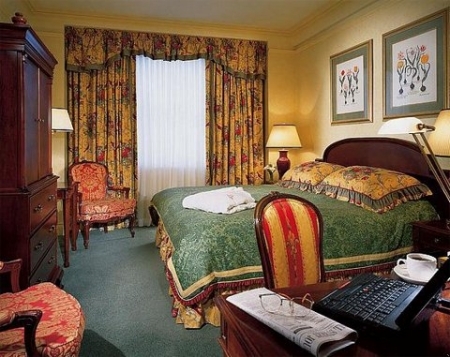 It also offers an ‘office away from the office’ for guests of The Fairmont Royal York. Our quiet, efficient Toronto conference and convention business center will let you be more productive during your stay. The Xerox Business Center, located on the Lobby Level, is the only business center of its kind in a hotel. 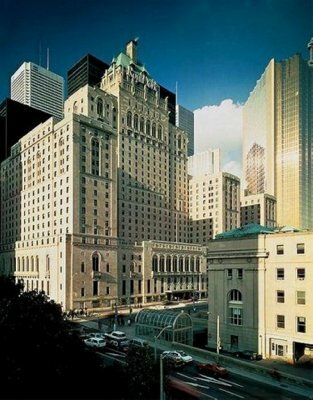 Monday to Friday: 7:00 a.m. to 10:00 p.m.
Toronto – Canada’s largest metropolis and Ontario’s Capital city – has truly grown up around this great landmark, The Fairmont Royal York. Since 1929, we have been hosting grand events of all kinds: from weddings to conferences, from Royal visits to the G20 meetings. 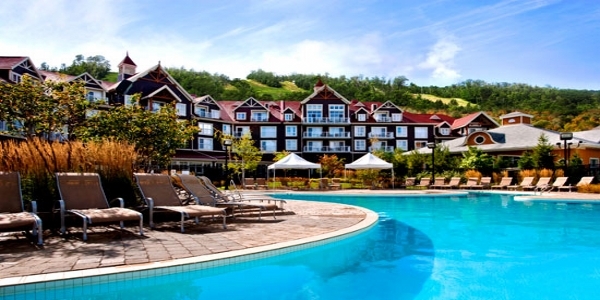 Heritage, character and world-renowned Fairmont service awaits! Located across the street from Toronto’s Union Station, we are truly “at the centre of it all”. Within walking distance from our doorstep, you will find the exciting entertainment, theatre, distillery and financial districts along with quick access to shopping, sightseeing, attractions and world-class sports facilities. At The Fairmont Royal York, we look forward to hosting your next event! The majority of our meeting space is conveniently located on two adjacent floors. Larger rooms are located on our Convention Floor with its soaring ceilings and elegant, traditional decor. One floor below, on the Main Mezzanine Floor, is a wide range of smaller rooms, ideal for break-outs, or for smaller groups. This floor is distinguished by rooms with unique decor—some reflecting the heritage of Canada’s provinces, and others evoking the history of the hotel itself, with wood paneling and sparkling chandeliers. Our event teams and award-winning chefs come together to create your perfect event. 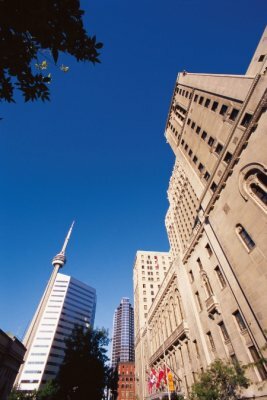 Leveraging the heritage and atmosphere of our downtown Toronto venue, The Fairmont Royal York events’ teams have the unique ability to take your event to the next level. Whether you are looking for a small group working session, an annual general meeting, a conference or a Gala, it would be our pleasure to assist you in creating that special event. Looking for a classic touch for your special day? Our wedding specialists are as excited as you are to help you plan every perfect moment. Our award-winning chefs will work with you to create a menu worthy of your celebration. And your event will be couched in Fairmont service at “hello”. Whether you’re in Toronto for a meeting or simply to relax and take in the sights, this landmark hotel has everything you need. Luxurious surroundings, refined Toronto accommodations, a knowledgeable Concierge, and even a fully-stocked Business Center. 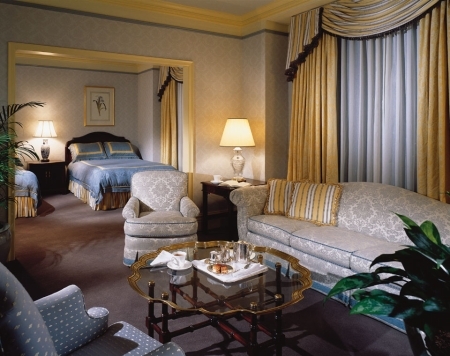 Each of the 1365 guest rooms at The Fairmont Royal York in Toronto offers accommodations that are luxuriously decorated and elegantly appointed. All guest rooms are equipped with the latest business amenities including High Speed Internet Access and entertainment features such as in-room movies. For a unique experience, consider a one-of-a-kind suite. Guests at our Toronto hotel seeking the ultimate in service and luxury accommodations will relish the Fairmont Gold floor. For more information please see the complete room descriptions at left. From traditional guestrooms, with elegant, comfortable decor to deluxe room accommodations with larger sleeping areas and sitting rooms. Please Note: As part of an exterior stonework restoration project, some guest rooms currently have obstructed views and guests in these rooms may encounter noise disturbance between 8:30 a.m. and 5:30 p.m. We apologize for the inconvenience. The following amenities may be available in select Toronto hotel rooms at The Fairmont Royal York. Please indicate the request in your on-line Toronto hotel room reservation, or ask one of our reservation agents. 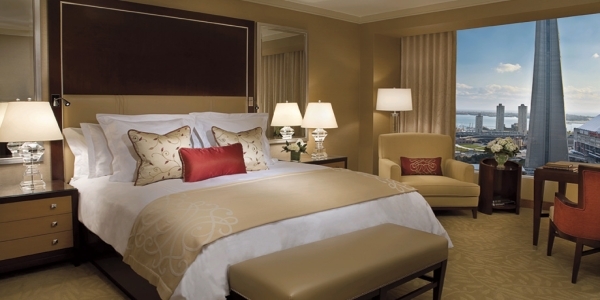 Located throughout the hotel, Fairmont rooms are our traditional guestrooms, with elegant, comfortable decor. Both smoking and non-smoking Fairmont rooms are available. Fairmont View rooms are all are non-smoking and are located on the “Front Street” side of the hotel. Finished in rich tones and traditional decor, they offer all common amenities and comfortable accommodation for your stay in Toronto. Deluxe rooms are larger open-concept rooms, with a sitting area as well as a sleeping area. All are located on the 1st to 11th floors, and both smoking and non-smoking Deluxe rooms are available. 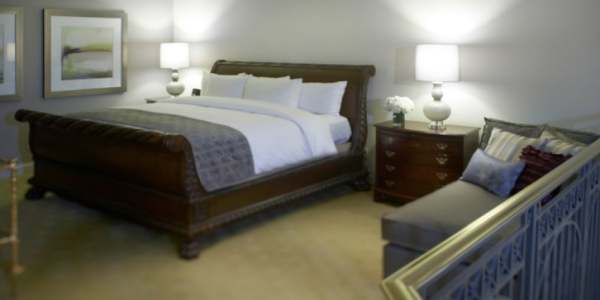 With their larger size, Deluxe rooms are ideal for families, or any guest who will be staying for an extended period. The following amenities may be available in selected Toronto hotel suites and specialty rooms. Please indicate the request in your online Toronto hotel reservation, or ask one of our reservation agents. Our Signature Rooms have been individually selected for inclusion in this premier guest room category on the basis of size, view and distinct characteristics. Capturing the essence of The Fairmont Royal York, each signature room offers elegant decor, spacious seating area and unique layout and design. Executive Suites are popular with those wanting to hold a small reception. Located from the eighth to the eleventh floor, they consist of two elegant bedrooms and a spacious living room with wet bar and conference table which easily seats six people. All Executive suites have one single entrance from the hallway. The Governor General Suite is located on the 16th floor. As guests arrive in this two-bedroom suite, they will be amazed by the majestic entrance foyer. The luxurious living room features a wet bar and decorative non-functional fireplace. Receptions of up to 16 people can be held in this suite. One-Bedroom Suites are available in a variety of sizes. The hotel has one-bedroom suites with Small, Medium or Large parlors containing a sofabed. The parlor is connected to a bedroom and separated by a single door. Both areas have their own separate entrance from the hallway. Combinations of a Two-Bedroom Suite may also be available. The Prime Minister’s Suite is located on the 15th floor. This one-bedroom suite has a large living area featuring a decorative non-functional fireplace, full working kitchen and separate dining room with table for six persons. For guests wishing to host a reception, this Toronto hotel suite is ideal for gatherings of up to 16 people. The bedroom section has a private bathroom. The Royal Suite is located on the 16th floor. This two-bedroom suite has a large living area featuring a wet bar and decorative non-functional fireplace. With a full dining room, this room can be used to easily entertain 16 people. Welcome, we’ve been expecting you. Your Fairmont Gold experience begins the moment you arrive at the front door and are whisked directly to the private Fairmont Gold reception area on the 12th floor. Here, your individuality is valued, your room preferences are honored, and your arrangements for a quick and effortless departure are anticipated. In the exclusive Fairmont Gold Lounge, our dedicated team extends a friendly, sincere welcome and ensures that your every need is met including arranging dinner reservations, limousines and any other special touches you require. Among a small selection of like-minded guests, you can unwind in the lounge and enjoy special privileges such as access to various newspapers and magazines or even catch up on email with our complimentary computers. And throughout the day you can enjoy coffee, tea, an honor bar as well as complimentary cocktail canapés, served between 5:00 p.m. and 7:00 p.m. in a tranquil atmosphere of relaxing comfort. Be sure to start your day off perfectly with a healthy and bountiful continental breakfast, including hot items, served between 6:30 a.m. and 10:00 a.m. Monday to Friday and 7:00 a.m. to 11:00 a.m. Saturday and Sunday while enjoying a discerning residential setting. Please Note: As part of an exterior stonework restoration project, some guest rooms currently have obstructed views and guests in these rooms may encounter noise disturbance between 8:30 a.m. and 5:30 p.m. We apologize for the inconvenience, please contact us with any questions or concerns. The following amenities may be available in selected Fairmont Gold rooms and suites. If you require any of the following, please specify your request when making your on-line reservation, or inquire from our reservation agent. A fresh new direction for a local classic. EPIC takes a reputation for innovation and quality and infuses it with premium quality regional elements. EPIC’s fluid, contemporary design is an effective backdrop for a menu that features the best of Ontario’s growers. Seasonally, hand-nurtured herbs from the rooftop garden, 15 stories above Front Street brighten each dish. Desserts are flavoured with hand-harvested roof top honey. And as a certified Ocean Wise restaurant, EPIC’s fish and shellfish choices contribute to sustainable oceans for generations to come. Complimenting each course, a wine list that has received the VQA Award of Excellence for the past two years provides renowned Ontario and international wines. Breakfast: Monday – Friday 7:00 a.m. – 10:00 a.m. Saturday & Sunday 7:00 a.m. – 12:00 p.m.
Brunch: Saturday & Sunday 7:00 a.m. – 2:00 p.m. Lunch: Monday – Friday 12:00 p.m. – 2:00 p.m.
Dinner: Daily – 5:30 p.m. – 10:00 p.m.
Benihana is a fabulous Japanese steakhouse experience in the heart of Toronto – enjoy the excitement of teppan cooking right at your table. Benihana is the winner of WHERE magazine’s ‘Most Memorable Meal’ award in the Japanese category for two consecutive years. Benihana Restaurants were founded by Japanese-born entrepreneur Rocky H. Aoki. Benihana Restaurants began in the U.S. and spread quickly throughout the world including, Europe, Australia, South America and Asia. Since 1964, Rocky has been successful in launching close to 80 Benihana restaurants. Instead of using conventional kitchens, Benihana’s highly skilled chefs present and prepare all entrées at a ‘hibachi’ table (a flat 4′ X 3′ grill), around which, up to seven guests are seated. A fast-paced performance of chopping and juggling creates an exciting teppanyaki-style dining experience for guests of all ages. Benihana is a unique experience for special occasions, tours, and office parties. Teppan cooking is Benihana’s specialty, but guests are also invited to venture their taste buds into more exotic foods from our sushi and sashimi menus. Tuesday – Thursday: 5:30 p.m. – 9:30 p.m. 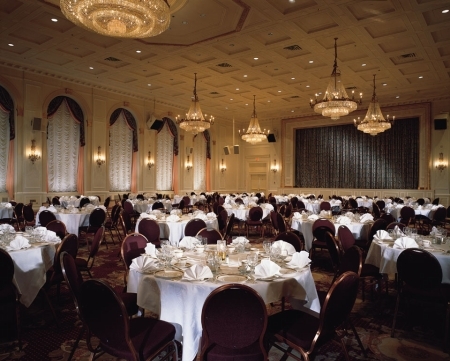 The Fairmont Royal York is pleased to offer our spectacular facilities for Kosher events. Working with a respected local caterer, the hotel’s elegant ballrooms make the perfect setting for any event. Evocative of the golden age of the Cocktail, our beautiful and historic Library Bar is the ideal venue to enjoy an intimate business lunch, an informal après work drink or a romantic evening meal. With a hearty and delicious selection of locally sourced dishes, available at both lunch & dinner, together with an outstanding collection of fabulous, seasonal cocktails we are sure you will enjoy your time with us in our luxurious and decadent signature Bar. We are also delighted to feature the Whisky Library, a constantly evolving selection of fine and rare Single Malt Whiskies, not only from Scotland but also featuring some outstanding drams from as far afield as Sweden, India and France. Why not ask one of our expert bartenders or servers for a recommendation or explore the nuances of aroma, flavour and style with one of our bespoke Whisky flights. Afternoon Tea is also served in the Library Bar. Monday to Friday – 12:00 p.m. to 1:00 a.m.
Saturday – 5:00 p.m. – 1:00 a.m. Afternoon tea – Saturday & Sunday 12:30 p.m. to 4:00 p.m. The Fairmont Royal York and its sister hotels across the country have been a part of Canadian history and events since 1886. In fact, Piper’s takes its name from Harry Piper, who operated a zoo on this site and after whom a nearby street is named. We’re proud of our home in the heart of Canada. From Newfoundland in the east to Victoria in the west, Canada’s best food and famous beers are within easy reach of our doorstep. We invite you to try Canada’s fresh salmon, delicious lobster and wholesome cheeses. Join us on our coast-to-coast journey of casual favourites with a uniquely local twist. Piper’s Gastropub is also a great place for sports. Its proximity to Air Canada Center and the Rogers Center makes Piper’s an ideal location for drinks before and after the game. Piper’s is also an ideal setting for your next informal office gathering. Please call for more details on hosting a group experience in Piper’s. Piper’s is located on the PATH, Toronto’s indoor network of shops and services, on the Avenues Level of The Fairmont Royal York. Monday to Friday: 4:30 p.m. – 11:30 p.m.
Blue jeans, tuxedos…and everything in between. In-Room Dining at The Fairmont Royal York offers a world of delights as sophisticated as any to be found in our restaurants and lounges. Available 24 hours a day, In-Room Dining offers choices for every taste and occasion. For a quick breakfast, a convenient doorknob breakfast menu makes ordering from our most popular selections easy. Or, create the ultimate breakfast in bed from the extensive a la carte breakfast menu. Throughout the rest of the day, whether you crave sushi fresh from Benihana, a midnight snack of Pizza Hut pizza, a tub of Haagen Dazs ice cream, or an elegant four-course dinner, it’s all available through In-Room Dining. Traditional favourites are also on offer – soups, salads, sandwiches, and hot entrées, as well as an extensive children’s menu. On the run? At York’s Deli you can eat in or take out! Deli-style sandwiches, salads, homemade soups and daily hot dishes make the menu hard to choose from! York’s Deli caters! All of your favourite fresh sandwiches, salads and platters for office lunches, meetings and parties. Monday to Friday: 6:30 a.m. – 2:30 p.m.
Saturday to Sunday: 7:00 a.m. – 11:00 a.m. The Fairmont Royal York has been providing the Afternoon Tea tradition since it opened in 1929. Tea is served in fine china along with sandwiches and pastries on Saturdays and Sundays in the Library Bar. Tea time includes a chance to explore the hotel’s famous rooftop herb garden and bee apiary 14 stories above ground.